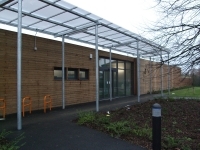 Acacia Centre is situated between Lonesome Primary School and St Mark's Church of England Academy on Grove Road. The pedestrian entrance is on Grove Road. Bus - 152 or 463. Train - Mitcham Eastfields Station.